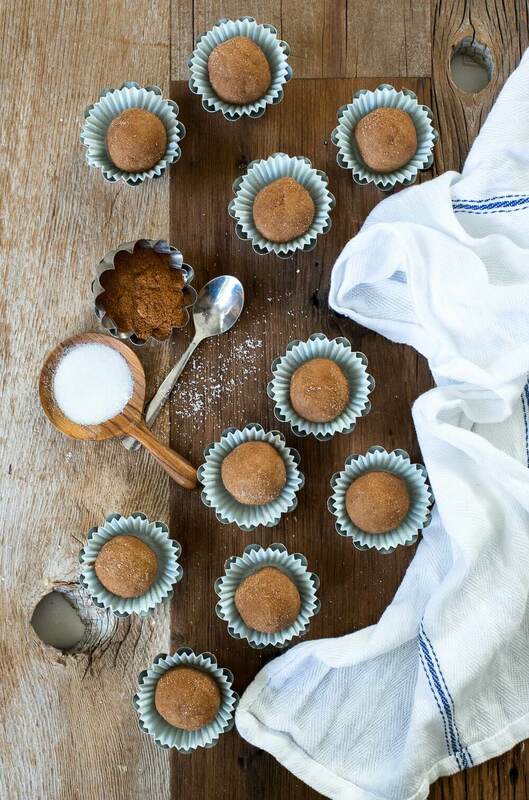 Keep your energy up and make it through the day with these nutritious sweet potato pie bites. They’re the perfect amount of sweet that will make you come back for more! Place the pecans in a food processor and process to the texture of coarse sand. Add the oat flour, pumpkin pie spice, and sea salt and pulse in until combined. Add the mashed sweet potato, maple syrup and vanilla extract and process until all ingredients are evenly incorporated and the mixture clumps together into a dough. Shape dough into small balls (about 3/4 ounce each, or the size of a ping-pong ball) and roll in cinnamon-sugar to coat. These keep best if placed in individual mini muffin liners and kept in an airtight container. If needed, roll in cinnamon sugar again before serving. * This recipe is gluten-free if made with gluten-free oat flour. **To make the mashed sweet potato, place in a pot of boiling water and cook for 25-30 minutes, until fork-tender. Carefully remove from water, peel and mash with a fork. Allow to cool before using in recipe.